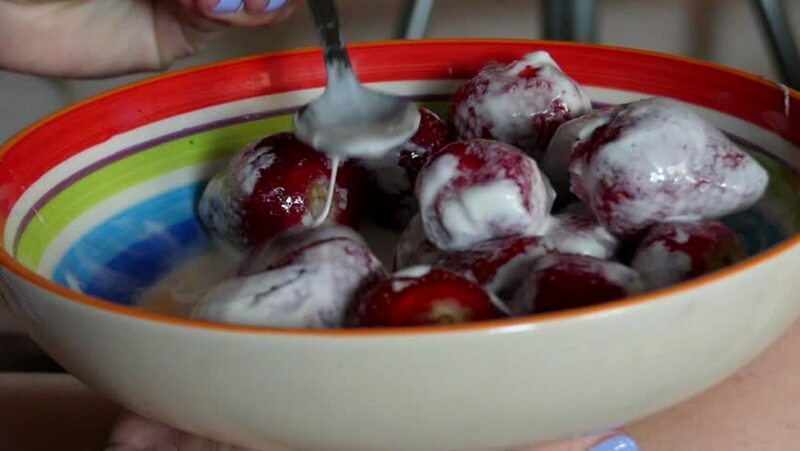 Spoon in Slow Motion Prevents the Strawberries With Cream. Shot in the Kitchen. 4k00:07Hissing mussels in frying pan. Professionalhef mixing seafood with oil and seasonings, close-up.